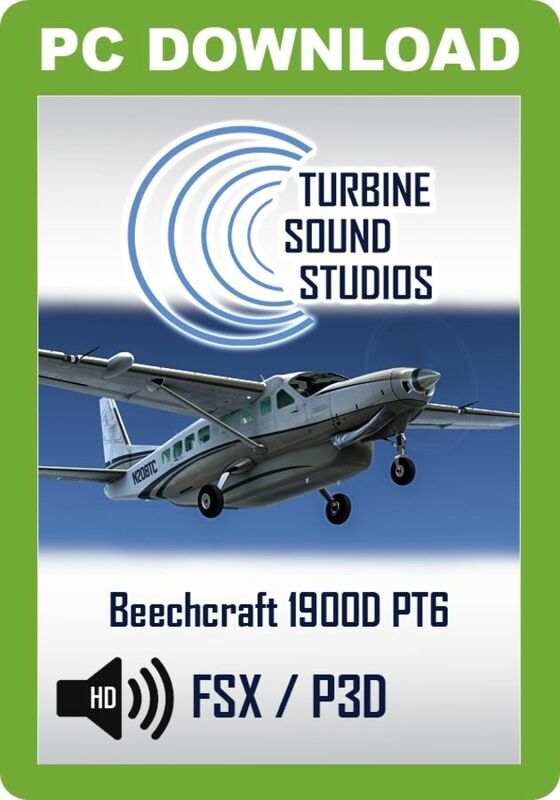 Turbine Sound Studios proudly presents the Cessna 208 PW-PT6 Pilot Edition sound package for FSX and P3D, recorded in High Definition. This Pilot Edition includes sounds as heard from the cockpit. 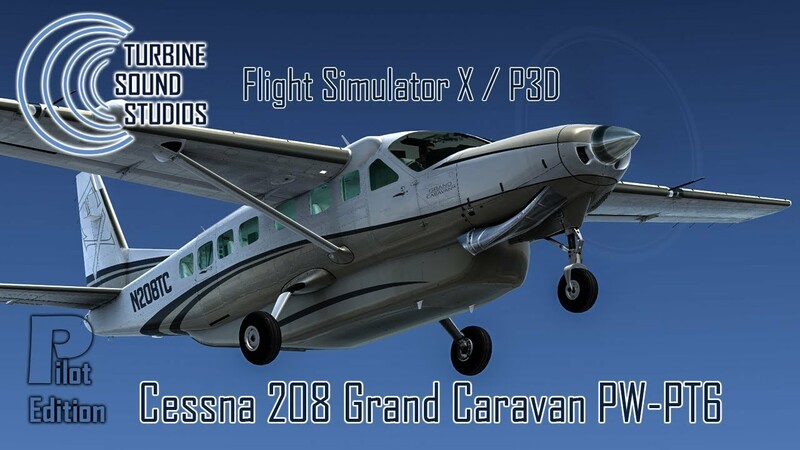 This sound package has been developed to provide upgraded replacement sounds for Carenado's C208B Grand Caravan EX HD Series add-on for FSX and for P3D, but this sound package will also work with others models. All sounds are recorded in HD and compiled to meet Microsoft Flight Simulator specifications. 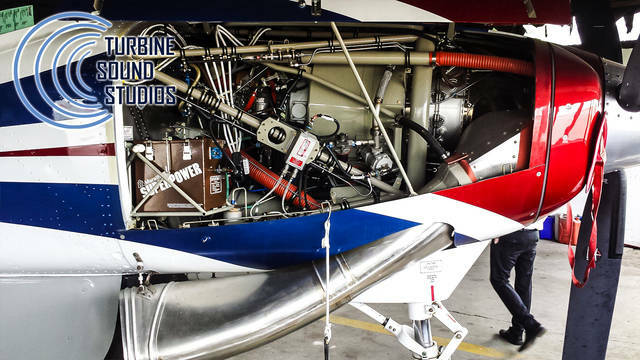 This was the marketing name for the upgraded version of the 208B Caravan certified in December 2012, with a more powerful 867 hp (647 kW) Pratt & Whitney Canada PT6A-140 that improves the rate of climb by 38% and was developed by Pratt & Whitney Canada specifically to power the 208B. The unladen weight is 807 lb (366 kg) more but maximum payload is only 90 lb (41 kg) more. 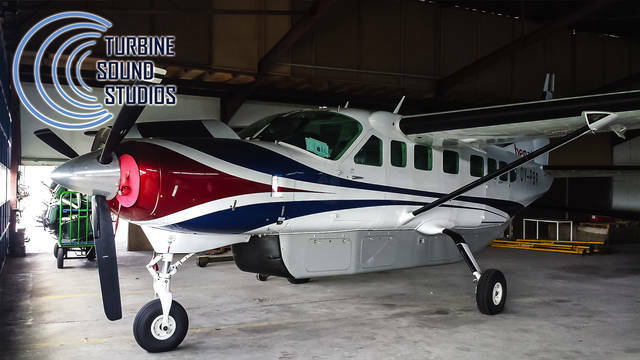 While the 192 hp (143 kW) more powerful PT6A-140 gives a 11-knot (20 km/h) higher cruise speed, and rate of climb is improved by 94 feet per minute (0.48 m/s), range is reduced to 964 nautical miles (1,785 km) on a similar fuel capacity. It requires a longer take off run at 2,160 feet (660 m) and its landing roll is at 1,871 feet (570 m). Production had reached 347 aircraft as of May 2017. This Turbine Sound Studios High Definition sound package includes sounds as heard from the cockpit. It has been developed for Carenado's C208B Grand Caravan EX HD Series add-on for FSX and for P3D, but will also work with other models. The 49 upgraded replacement sound files include external and internal engine sounds, wind sounds, cockpit environment sounds, custom distance and dynamic sounds, separate start-ups and shutdowns and more.